Bringing his 2017 Hard Enduro season to a highly-positive close, Graham Jarvis has placed third overall at the 50th running of the Roof of Africa event in Lesotho, southern Africa. With the traditional ‘Round the Houses’ race and 40-kilometre time trial kicking things off at the three-day long event, Jarvis completed a strong opening day. 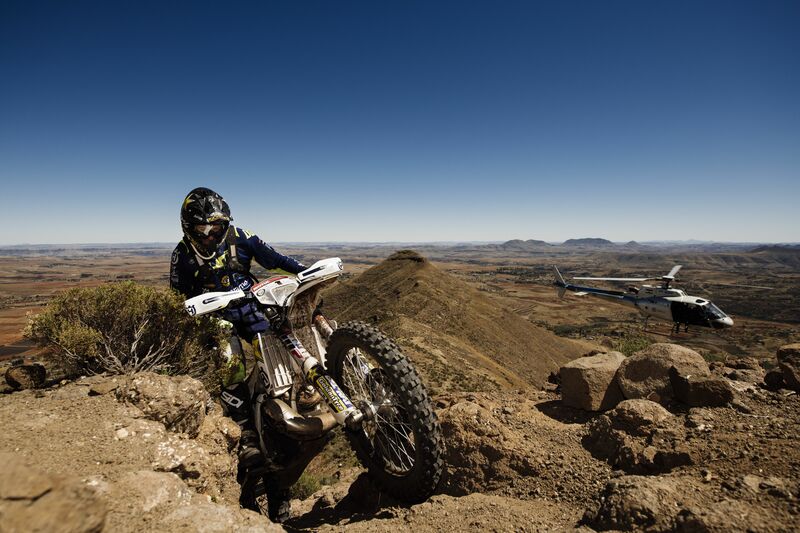 Roof of Africa winner in 2016, in placing fourth Jarvis ensured a positive start in his bid for a fifth event win. Day two – the first full offroad day of the race – saw Graham place third. Completing a largely mistake free day, he finished 10-minutes down on winner Wade Young. Hoping that the third and final day would deliver increasingly technical trails, Jarvis was again unable to match the pace of the young South African riders ahead of him. With the faster terrain better suited to his younger rivals Graham nevertheless gave his all to successfully complete the final day and in doing so end what has been another hugely successful season with yet another well-deserved podium result.